In an earlier post, where I talked about configuring your environment for development, I mentioned that the Android Emulator gave me a bit of a headache. On Planet Xamarin, a aggregator for multiple Xamarin minded blogs, I came across a post about making the Xamarin Android Player work. After following the instructions in the blog it actually worked! And the best thing is, it isn’t even that hard! Just like Android itself, you have to dig a little deeper than on other platforms. As mentioned in the blog itself I had to restart my Visual Studio to make the actual connection happen. 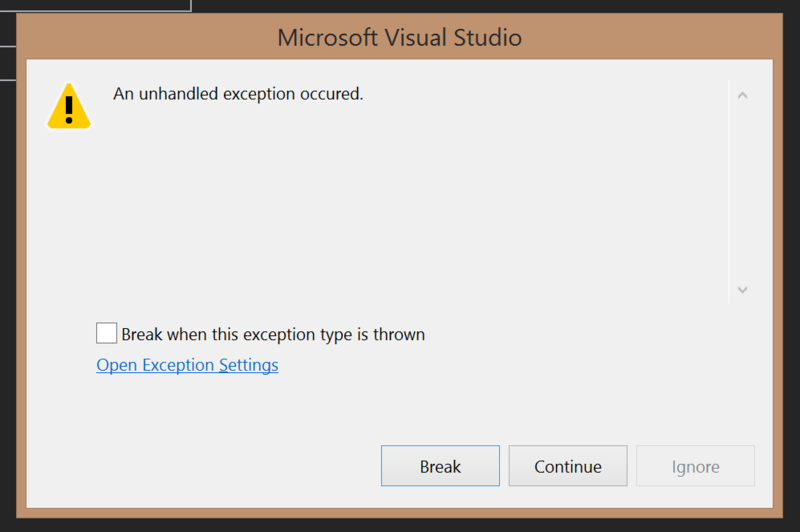 If I’ hit the ‘play’ button in Visual Studio it would appear to do nothing and just come back after a second. Restarting fixed this problem and made deploying to Android work like a charm! Now there just seems to be a problem with my code on Android.. So many thanks to Johan Karlsson! You can find the blogpost here.